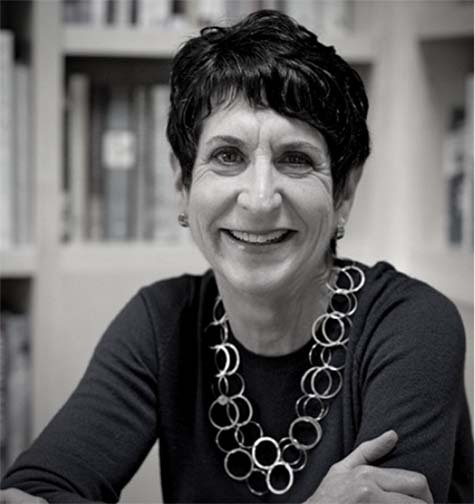 The idea that there is a story to be told in how food is a vital part of the Southern Jewish experience propelled Marcie Cohen Ferris to a career in food studies, leading to her recognition in October with the Southern Foodways Alliance’s Craig Claiborne Lifetime Achievement Award. Earlier this year, Ferris, a Blytheville, Ark., native, retired as American Studies professor at the University of North Carolina. Ferris was the first project director for the Museum of the Southern Jewish Experience in Utica. The museum, which was housed at the Henry S. Jacobs Camp until 2012, will reopen in New Orleans in 2020. Blytheville was “a deeply Southern space to grow up in,” with her Jewish world and the non-Jewish world. “A big part of my identity was the boundaries between Jewish foods and Southern foods and the foods of Northeastern Arkansas,” she said. That led to her being recruited by the University of North Carolina and the publication of her first book in 2005, “Matzoh Ball Gumbo: Culinary Tales of the Jewish South,” which was nominated for a James Beard Foundation award. Much of the material came from a Southern Jewish Foodways survey she sent out throughout the region in 1998, and dozens of interviews. From 2006 to 2008 Ferris was president of the Southern Foodways Alliance, growing it into a national organization.